Last week, I made these amazing beet burgers. Beets are lovely, aren’t they? I think beets are the most beautiful color in the whole world. But…I have to admit that I really hate to eat them plain. I’ve tried them in salads with goat cheese and soaked in butter and horseradish sauce. But my favorite beets are definitely those diced small and mixed well with other flavors. As I was contemplating what to do with the lonely, leftover beet in my crisper, I suddenly remembered a batch of beet hummus Dave’s aunt had made at Christmas, and I immediately got excited. 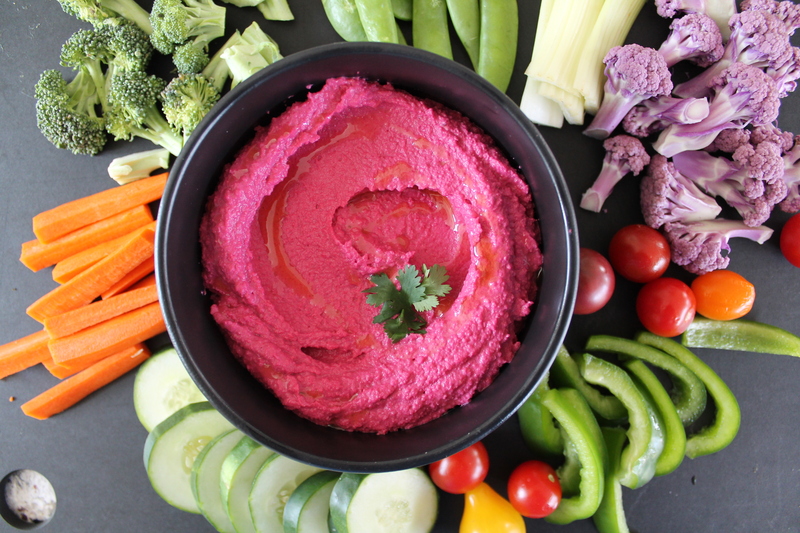 This hummus is a little earthy and a little tangy, and full of gorgeous pink. Eat it with a huge handful of bright, raw vegetables and you will feel like you are on cloud nine. Admit it. You love veggie burgers. You can’t escape the truth. Veggie burgers are one of the best things about being vegetarian, in my opinion. (Why eat something boring when you can eat something creative?) 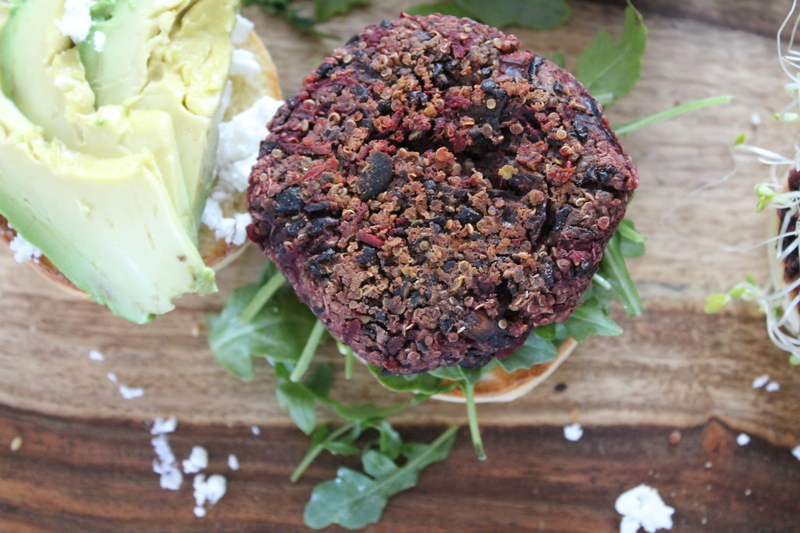 And these beet burgers with quinoa and black beans are no exception! They are delightful and hearty and a little smoky. They are also a brilliant backdrop for all sorts of toppings, so pick your pleasure and take a big bite. I have no words. Words have left the building and they have been replaced by drooling. You see, my friends, this is exactly what is so great about the Secret Recipe Club! When I fall into a dessert rut, I love exploring the creativity of other bakers, like Tracy of Pale Yellow. I started out this month planning to make a healthy dinner. I had even geared myself up to make a vegetarian version of Tracy’s taco salad. But my mind just kept drifting back to her desserts, amazing treats like Chocolate Hazelnut Cake and Fancy Pants Brownies and Tiramisu Cheesecakes. 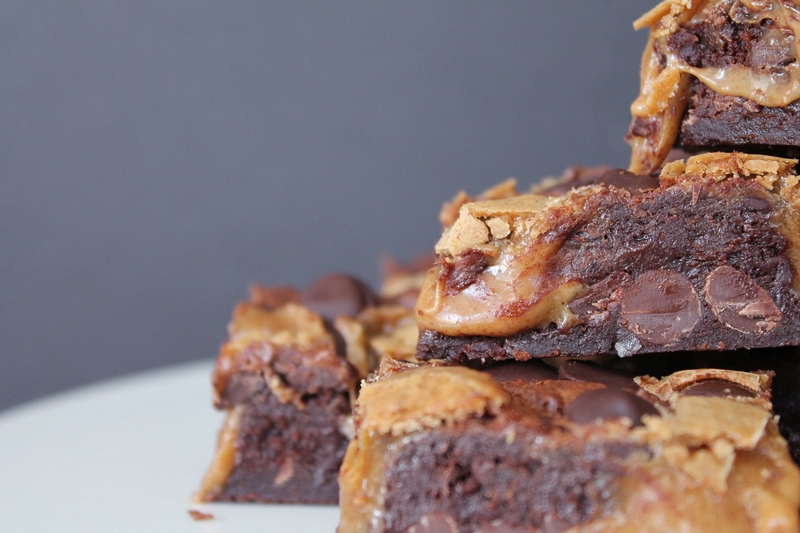 And, oh glory, cookie butter truffle brownies. A match made in heaven. Are you into cookie butter? 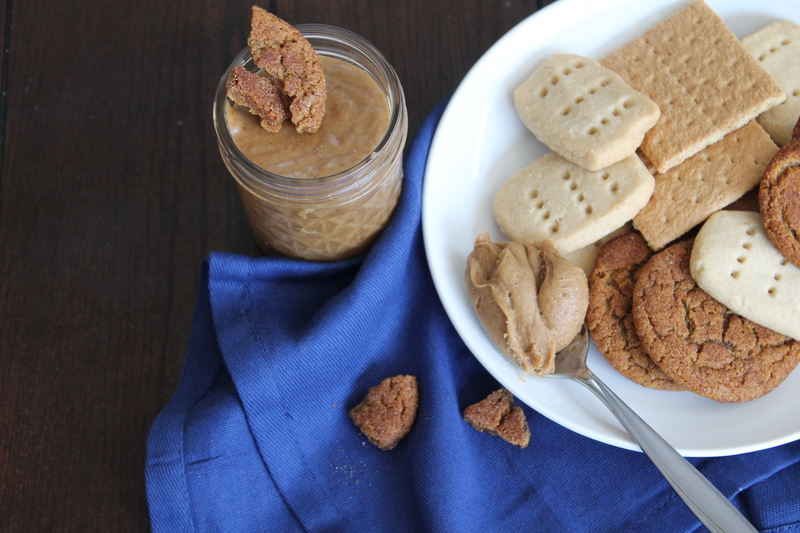 It’s basically like peanut butter…except made from pulverized cookies. You know. Because your sweet tooth wasn’t getting enough attention. I have meant to make a homemade cookie butter recipe for you at Christmas for about three years now (it makes a great foodie gift in a cute jar! )…but every Christmas slides by without me doing it. So if you are asking yourself why I am sharing a warmly spiced spread with you in the middle of a boiling summer….well, it’s Christmas in July this year!